Rainbow Rosalind Meets the Orchestra - Taster performance! 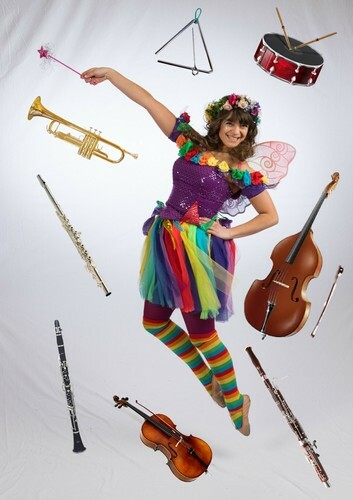 Discover the magical world of classical music with award-winning children's entertainer Rainbow Rosalind the Fairy and players from the Dunedin Youth Orchestra these school holidays in the Meridian Mall! 'Rainbow Rosalind Meets the Orchestra' is the exciting new show hitting the Dunedin Town Hall on October 7th at 2pm (grab your free tickets online at www.universe.com!). Come along to the Meridian Mall to get a taste of the show, a chance to see the musical instruments up close, and even get a photo with Rainbow Rosalind the Fairy!